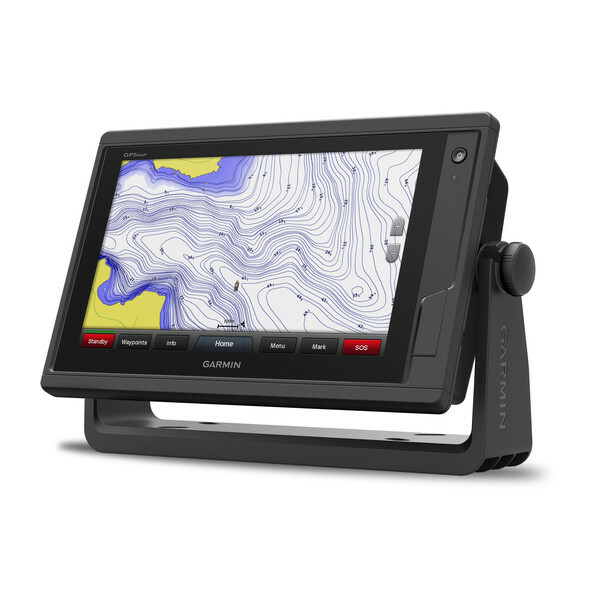 Garmin GPSMAP 922 is a Chartplotter and Fishfinder with 9-inch touchscreen colour windscreen display and comes preloaded with worldwide base map. There is an SD Card slot to add additional maps to the device. There is a high-sensitivity internal 10Hx GPS/GLONASS that will update your position and heading 10 times per second. Using Wi-Fi you can also connect with a smartphone or tablet. There are two models: 922 and 922xs. Only the 922xs features a Sonar with Traditional sonar and SideVu though you will need to buy a transducer separately. 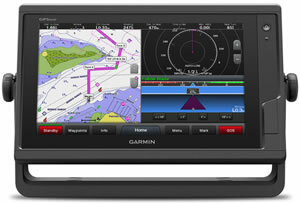 The Garmin GPSMAP 922 is a chartplotter with a 9-inch colour touchscreen. 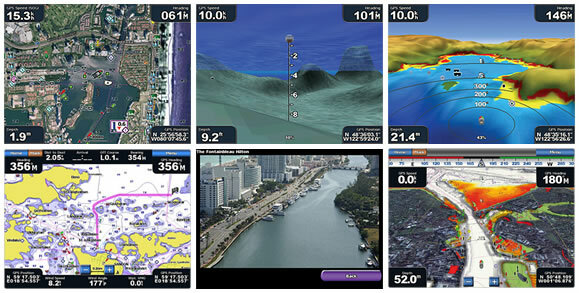 You can save 5,000 accurate waypoints and navigate back to them quickly and easily. 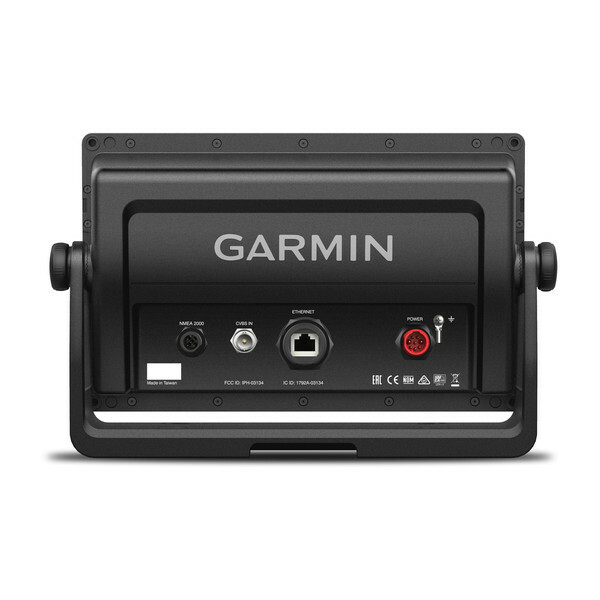 Waypoints, tracks and frequently used routes can be transferred too and the Garmin chartplotter allows the transfer of industry-standard GPX software formatted data files. 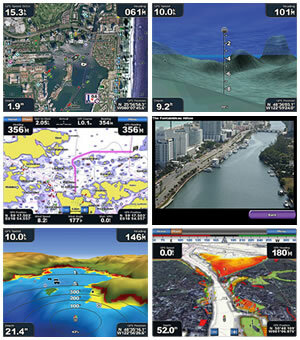 With the GPSMAP 922 you can also add BlueChart g3 or BlueChart g3 Vision for navigation on the water all over the world. 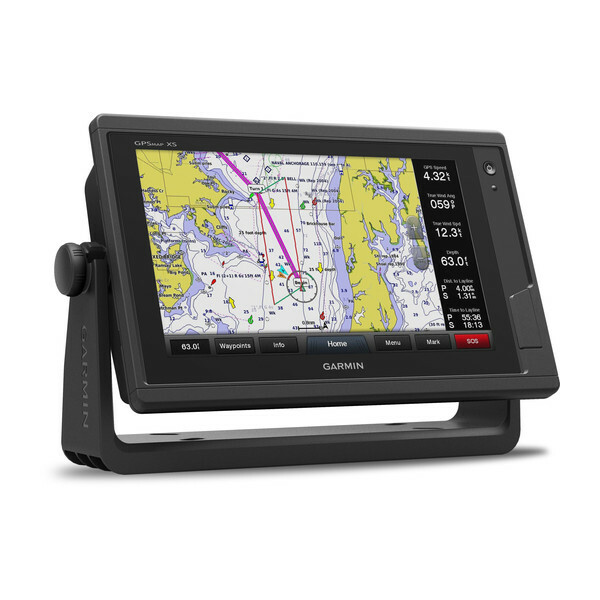 The GPSMAP 922 is ideal for cruisers, sailors, sailing racers, recreational boaters and more. 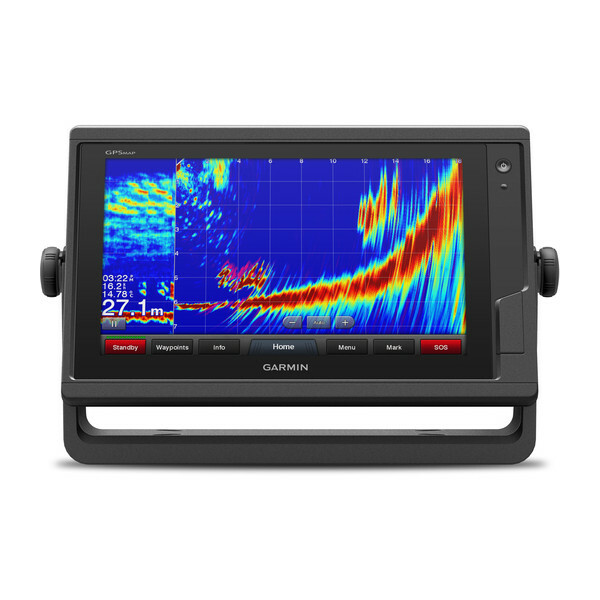 Built-in Sonar capabilities come as standard with the GPSMAP 922xs model only. 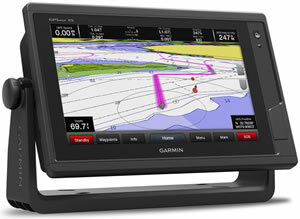 The 922xs model includes Garmin 1 kW CHIRP sonar and SideVu (view to the sides of your boat underwater). 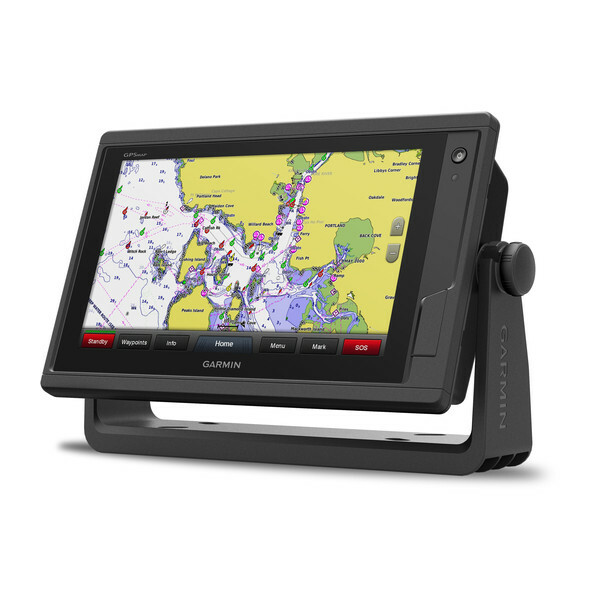 This chartplotter also supports Panoptix all-seeing sonar, premium Garmin sonar and a wide range of transducers (sold separately). CHiRP sonar technology and SideVu are also available with external black box. Plus find fish when using the GPSMAP 922 with a compatible transducer. 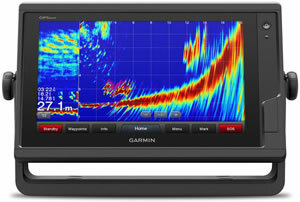 To find the perfect transducer to partner your GPSMAP 922xs and your boat please complete our online transducer form. Alternatively, if you know which transducer your require (we do however recommend that you complete our online form to find the perfect transducer) you can view the comprehensive range of transducers available buy from ActiveGPS. Pictured below, transom mounted transducer, thru-hull transducer and in-hull transducer. Heading and position is refreshed on screen 10 times per second enabling fluid viewing of your boat or yacht GPS position. There is a high-sensitivity, fast, responsive 10Hz GPS and GLONASS receiver. 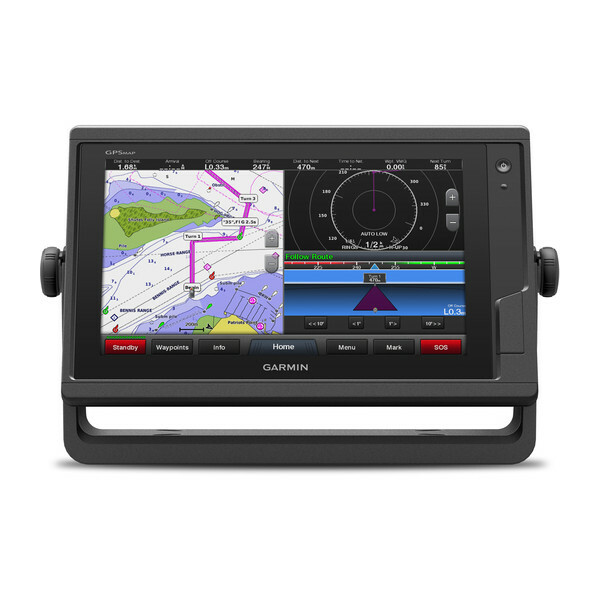 The GPSMAP 922 chartplotter also features NMEA 2000 and NMEA 0183 connectivity. 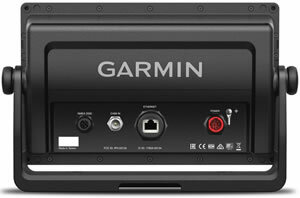 The Garmin GPSMAP 922 is preloaded with a worldwide basemap. 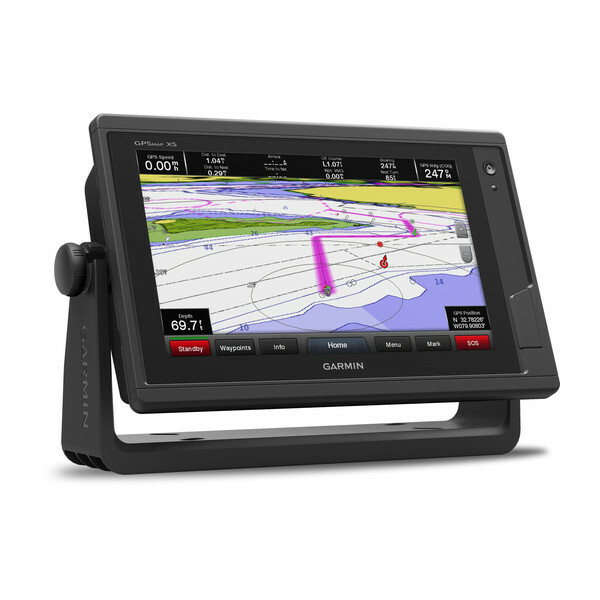 Additional detailed Garmin Bluechart g3 marine charts on pre-programmed microSD/SD card can also be purhcased from ActiveGPS. The very best and latest charts, named BlueChart g3 Vision include fpremium features such as high resolution satellite imagery of harbours, ports, etc, auto guidance, MarinerEye - keep an eye on 3D information above the waterline and FishEye - provides 3D information below the waterline. Flush, Flat and Bail mounting options enable you to mount the GPSMAP 922 device against most flat surfaces in your boat. 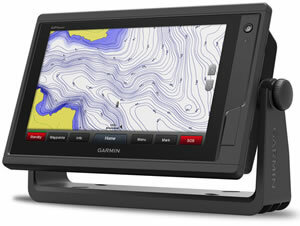 Garmin GPSMAP 922 marine chartplotters are preloaded with a worldwide basemap.